The New Zealand Police and New Zealand Government are investigating a criminal threat to contaminate infant and other formula in New Zealand, in an apparent protest of the use of the poison Sodium monofluoroacetate (1080) in pest control. New Zealand-based dairy giant Fonterra and New Zealand dairy farmers’ advocacy group Federated Farmers received anonymous letters in late 2014. These letters were accompanied by packages of powder, which tested positive for 1080. Police were alerted immediately. The letters contained a threat to release infant and other formula contaminated with 1080 to consumers. This contamination was to occur unless New Zealand stopped using 1080 for pest control by late March 2015. The person or people making this threat said they intend to run an international media campaign to publicise their threat and pressure the New Zealand Government to stop using 1080. As a result of the threat, trading in all NZX-listed dairy companies, including Fonterra, A2 Milk Company and Synlait Milk, have been placed in a trading halt. Fonterra also requested an immediate halt on the Australian Securities Exchange after becoming aware of the poison threat against the New Zealand-based dairy industry. The New Zealand Ministry for Primary Industries Deputy Director-General Scott Gallacher said the New Zealand Government was “confident that New Zealand infant and other formula is just as safe today as it was before this threat was made”. “People should keep using it as they always have,” Mr Gallacher said. “People should feel equally confident about using imported infant formula which has to meet New Zealand’s strict food safety requirements and is equally secure in the retail chain,” he said. Mr Gallacher said the ability for anybody to deliberately contaminate infant and other formula during manufacturing was “extremely low”. “Regardless, we encourage people to be vigilant when buying infant and other formula,” Mr Gallacher said. “Our advice is always to check packaging for signs of tampering. We are reinforcing that advice as a result of this blackmail threat,” he said. Fonterra has publicly acknowledged the threat and said it is working with the New Zealand Ministry for Primary Industries to establish a validated testing regime. “We can fully assure our customers and consumers that all of our milk and products are safe and of high quality, and our supply chain continues to be secure and world-class,” Mr Spierings said. “We are playing our part in helping the Government manage the criminal threat, as is the rest of the dairy industry,” he said. Fonterra is testing all paediatric products and nutritional base powders that it manufactures as well as all paediatric products and nutritional base powders manufactured after 1 September 2014. 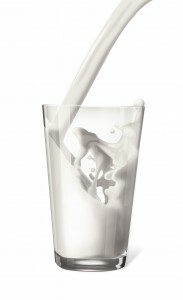 The testing methods that Fonterra uses are validated and have been approved by the MPI. The laboratories undertaking the testing are accredited to ISO 17025 and are MPI recognised dairy laboratories. Federated Farmers President Dr William Rolleston says the letter is of extremely serious concern. “But I am confident from what I’ve seen that our regulatory authorities and processors have created formidable barriers to any such threat being carried out,” Dr Rolleston said. “I’ve recently been invited through Fonterra’s Canpac plant in Hamilton where they do secondary milkpowder packaging as well as the Te Rapa factory which manufactures 20 percent of Fonterra’s national milkpowder production,” Dr Rolleston said. “It’s evident that the security surrounding dairy processing in New Zealand is second to none and the tamper proofing of the product is also first class,” he said. Dr Rolleston also says he has been assured that the full resources of the New Zealand Government will be going into assuring customers of the integrity of local product and exports from New Zealand. The A2 Milk Company and Synlait have also said they are confident in the food safety systems and security standards around their infant formula products in New Zealand. The A2 Milk Company sources its infant formula products from its exclusive manufacturer in New Zealand, Synlait. “We have full end to end supply chain control from farm to container for all milk powder and infant formula products,” said Dr John Penno, Synlait’s Managing Director. “This includes quality testing of raw milk and comprehensive testing of finished product before it is loaded into shipping containers for export,” he said. an audit programme to confirm dairy processing facilities continue to maintain the highest level of security and vigilance. “The combined MPI and industry testing programmes confirm there is no 1080 in infant and other formula,” Mr Gallacher said. “We have tested just over 40,000 raw milk and product samples and we have had no 1080 detections,” he said. “This criminal threat is designed to cause fear in order to generate a political outcome,” Mr Gallacher said. “It is using food as a vehicle but should not undermine confidence in our world-class food safety system or in any manufacturer,” he said.